The verdict is in and we couldn't be happier—Pantone has dubbed "Living Coral" the 2019 Color of the Year, symbolizing "our innate need for optimism and joyful pursuits." It's the perfect color to ring in the new year, and looks absolutely gorge on ALL skin tones! 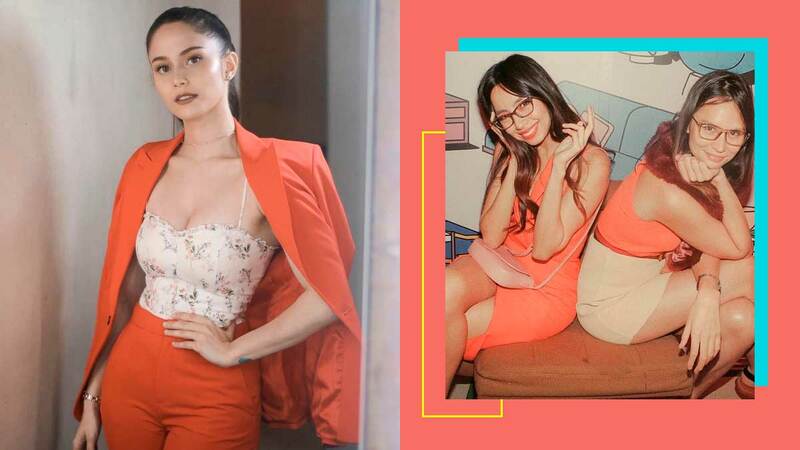 Why not go all-out at your next formal event with a coral terno? A casual coral-tan romper looks great with a black crossbody bag, too! Have you considered wearing a coral maxi skirt with a beige jacket and white top? How about one with a low back, like Juliana's OOTD? Why not hunt for coral shades to match your top? ...and this cute beanie contrasts with her all-black outfit so well!